Hood shroud costume worn by the Dark Emma Swan, actress Jennifer Morrison in the ABC television series Once Upon A Time… A young woman with a troubled past is drawn to a small town in Maine where fairy tales are to be believed. 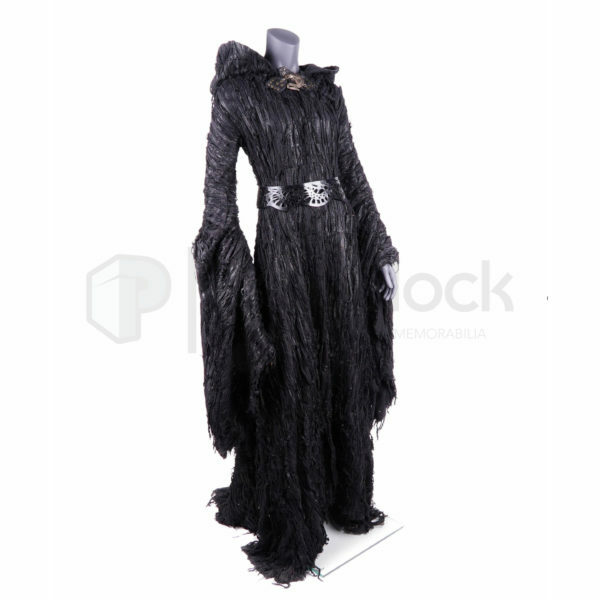 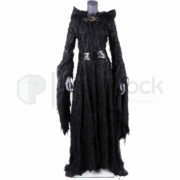 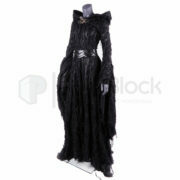 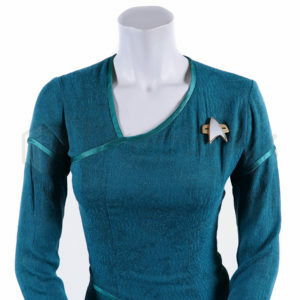 This piece can be seen in the first episode of the fifth season and includes a black shredded floor length jacket with long sleeves featuring shredded material hanging from the wrists. 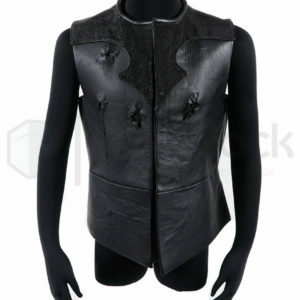 The piece closes via the front with a series of small hook fasteners and metal snaps. 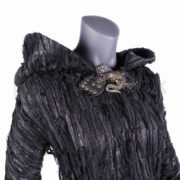 The ensemble features a laser cut leather black belt with metal buckle on the back and a alligator metal broach on the front. 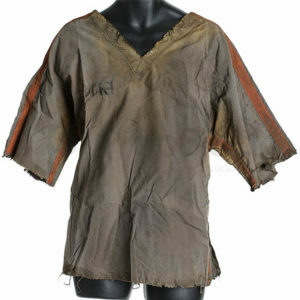 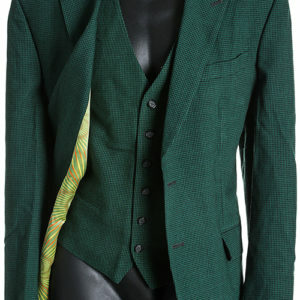 This item was originally sold in the studio sanctioned auctions and remains in excellent, production used condition.